Term life insurance is a temporary insurance contract between a person and an insurance company. A term policy provides coverage for a specific period of time. You choose the term when you buy the policy. Common terms are 10, 20 or 30 years. With most policies, the payout, called the death benefit, and the cost, or premium, stay the same throughout the term. In essence, you are “renting” a death benefit at the issued premium for the term period purchased. A term policy contract stipulates that in return for payment to the insurance company, the policy will pay a specified death benefit if the named insured dies while the contract is in force. If the insured survives the length of the term, there is no payout. 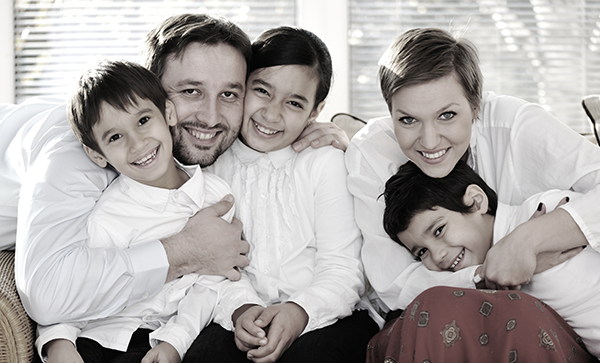 Term insurance is very effective for those people that only need life insurance protection a short period of time. For example, a family may need life insurance coverage on the bread winner(s) until their children graduate from college or until their mortgage is paid off. Term insurance is useful for people who are on a budget because it offers low initial premiums. It can also be a practical alternative to permanent coverage. People who may benefit from an affordable term policy include a single parent who would need to provide for a child if they passed or a young family without a lot of discretionary income, but have high protection needs. The low cost of insurance makes term insurance coverage the most efficient type of life insurance policy to own. However, unlike permanent insurance, term insurance contracts do not have any cash value, typically are not eligible to receive dividends, and will expire at some point in the future. Coverage is for a certain period of time (term), usually for a specified number of years or to a specific age of the insured. May make sense for those with budget limitations, have large protection needs or have a temporary need. Universal life insurance is a very flexible type of life insurance. Universal life provides both premium and death benefit flexibility, allowing you to adjust your policy according to your life insurance needs. Universal life insurance also offers the ability to accumulate cash value under the policy on a tax-deferred basis. Flexible benefits – Policies may allow you to increase or decrease the death benefit according to your particular situation, subject to qualification requirements. Loan access – You can borrow against a portion of your policy’s cash value in order to meet unexpected financial needs. Unpaid policy debt will reduce the proceeds payable at death. Optional riders – Many policies can be customized with riders such as accelerated benefits, disability waivers of minimum premium or stipulated premium, children’s level term and coverage continuation. Not all riders are available for all policies. Universal life may be ideal for the consumer who has a need for life insurance, is somewhat conservative, and wants the guarantees of a fixed, minimum interest rate with the potential for additional interest credits. One popular variation is a Guaranteed Universal Life insurance policy. This policy guarantees a minimum lifetime premium. If timely payments are made, it can be the lowest cost option for a permanent death benefit. These policies are not priced to accumulate any significant cash value. Therefore, their premiums tend to be much lower. A properly designed Index Universal Life (IUL) policy offers unique tax advantages no other single financial vehicle can provide. In addition to the death benefit, an IUL provides valuable protection in the case of critical illness or injury, as well as chronic and terminal illness. Under current tax law, an IUL policy gives you guaranteed tax-free income for life, PLUS it provides downside protection through minimum guarantees to ensure that your cash value will not decline due to market losses. An IUL is an excellent option for individuals who want to have lifetime tax-free income and protection from stock market losses or find themselves limited in the amount of tax deferred income they can contribute to their 401(k)s. It is also ideal for people who earn too much to qualify for a Roth IRA. Unlike a 401(k), IRA, or SEP, the cash value in an IUL is liquid and allows access to your account at any age, any time, for any reason, without paying taxes or penalties. An IUL Provides Protection Against Stock Market Volatility! An IUL provides market-linked gains without market-based risk because it’s not an investment in the stock market. With an IUL’s principal-protection guarantee, gains from the previous year are locked in and the principal cash value remains the same. To put it simply, even if the stock market crashes, there are no losses. Individual whole life insurance, often called permanent or traditional insurance, is precisely what the name implies: Life insurance that’s designed to protect you and your loved ones throughout your entire life. As long as the policy owner continues to pay the premiums, the insuring company will guarantee the death benefit. These policies are designed and priced for an individual to keep over a long period of time. These types of policies are another great option while planning final expenses. Fixed premium – Budgeting is easy with a consistent premium payment that is guaranteed to never change. Accumulation of a cash value – Cash value accumulates over time, and some policies may allow you to borrow against it. Fixed death benefit – You can choose the amount you leave to loved ones, and rest easy knowing that’s what they’ll get. Whole life policies are designed for individuals who want guarantees and who are focused on providing death benefit protection with cash value accumulation.